Let your expert skiers hit the terrain park or show off their slalom technique when you send them personalized Ski Race Postcards in advance. 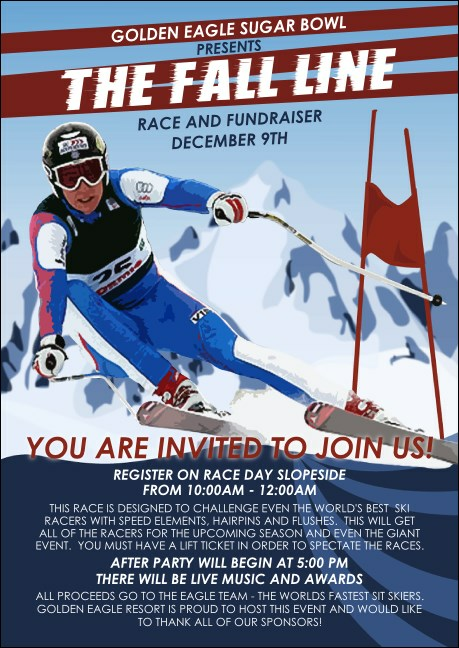 With a life-like picture of a skier hitting a jump and making a tough turn around a flag, and powder-packed mountains in the background, these Postcards can help you win the race in ticket sales. Get the vertical drop on pre-event promotions at TicketPrinting.com.